Cloudy skies do not deter visitors! 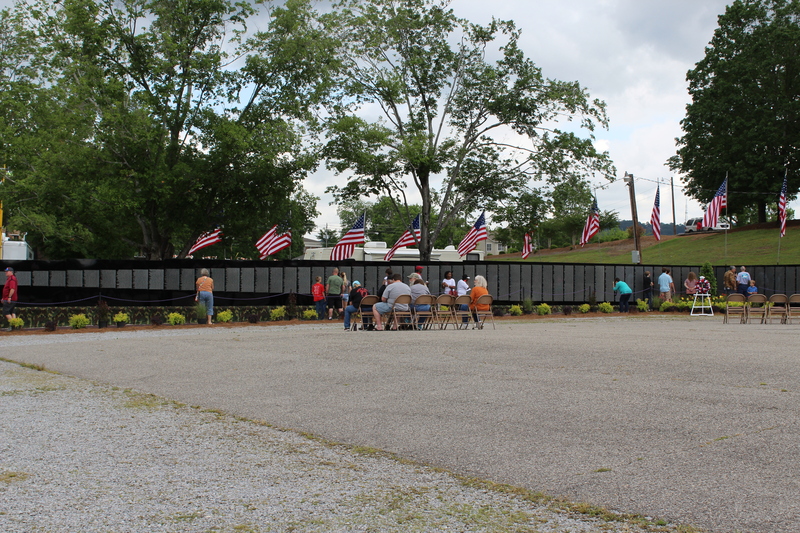 The Vietnam Memorial Moving Wall has been on display in Gadsden since May 11th and will be here through May 15th. If you haven’t done so already, I suggest you visit. 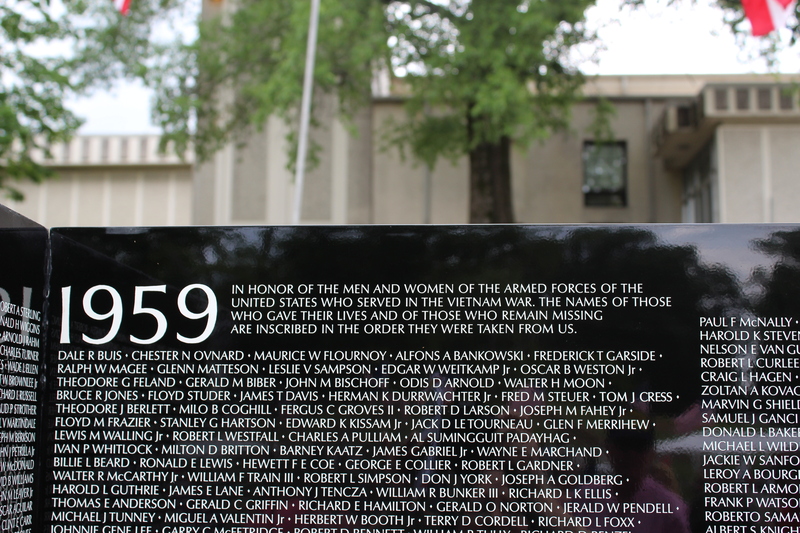 I stopped by Saturday and was deeply touched seeing all the names of those who sacrificed their lives. I found my Aunt’s husband’s name, Donnie W. Dixon, who I never got the honor to meet. 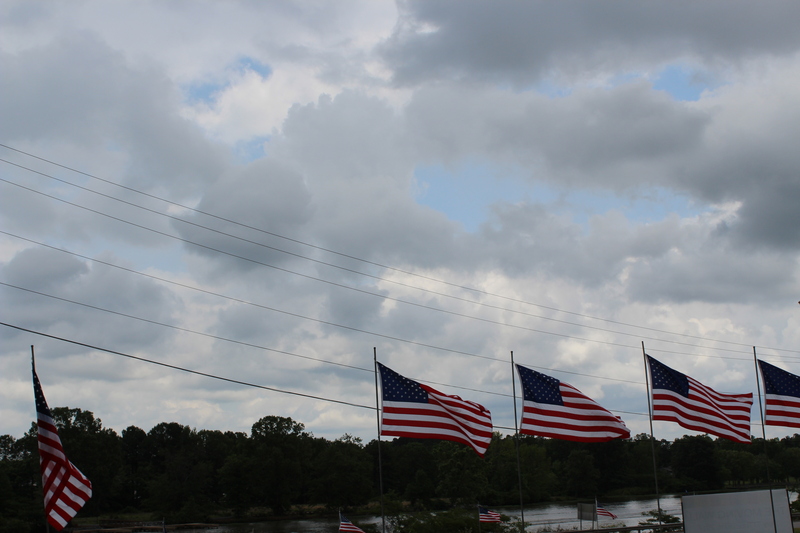 You could feel an electricity in the air and it felt good to pay my respects. 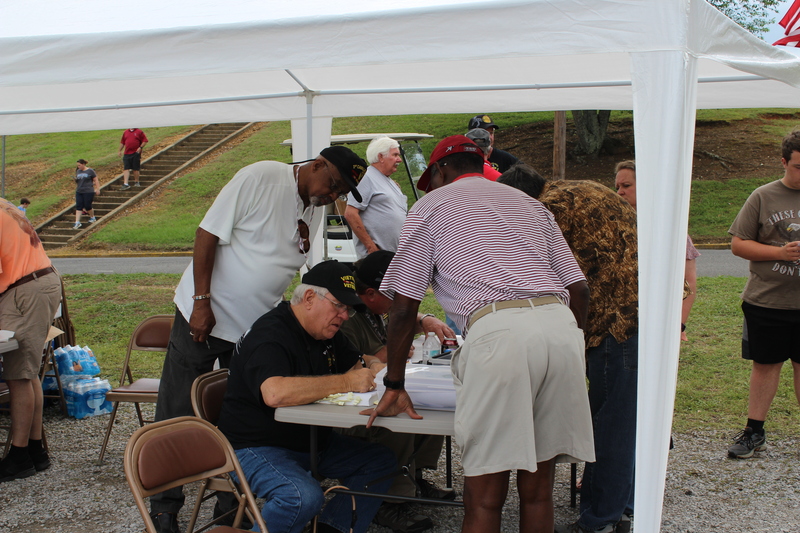 Volunteers are on hand to do things like shuttle you to your car, look up which stone your family member is on, and help you find the names. They were very helpful. 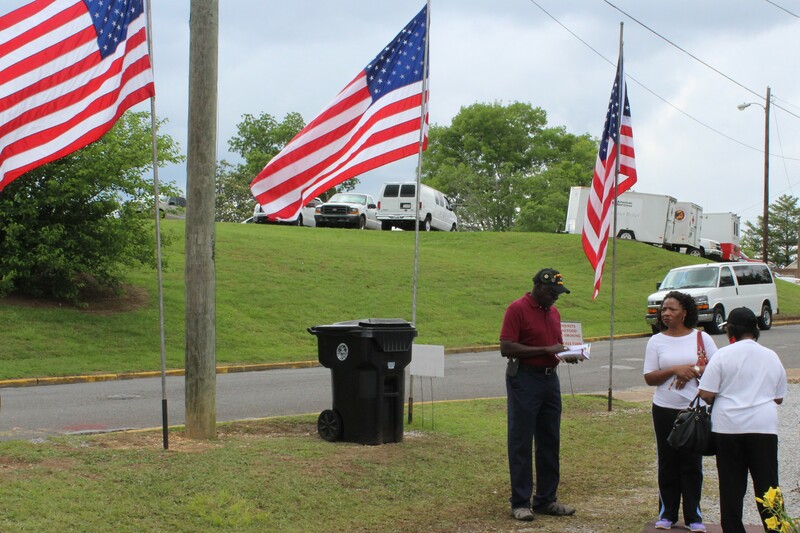 Even though clouds loomed overhead, there was still a big turn out. I managed to make it back to my car just as it started raining.